BlueGuard Entry is activated as soon as the phone gets into the 33 foot range. The BlueGuard FE verifies the phone’s unique ID and then activates the equipment being controlled. Cartell’s free exit systems automatically open your gate without the use of a remote, key fob or keypad, when vehicles exit the property. 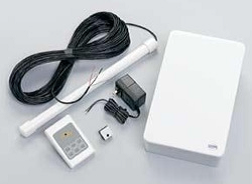 The CP3-5W comes with sensors covering 12 ft. wide driveways from the side, works with any gate operator, is a fully self-contained system, no external circuit board to install, solar friendly, universal voltage, three wire or five wire model, and the average field life is 12 years with a five year warranty. 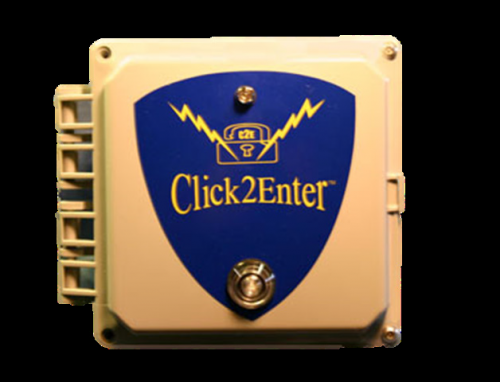 Just a simple `click’ of this radio transmitter button is all that is required to open gates, parking arms, doors, and commercial roll-up doors. Includes photocell to keep lights off during daylight, a sensor that covers 12 foot wide driveways from the side, supports up to 100 sensors. The CF-@C also has ability to support other sensing devices. This system automatically turns up to 1800 watts of lights on and puts them on a timer when vehicles are detected at night. Is an emergency vehicle flash detector. Includes all 911 response vehicles. 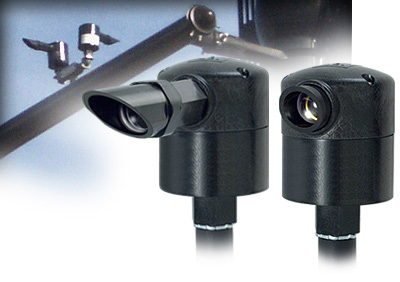 Detectors respond to both dual and quad flash strobes. No keys or codes required. ‘Yelp’ siren opens gates within 2.5 seconds. 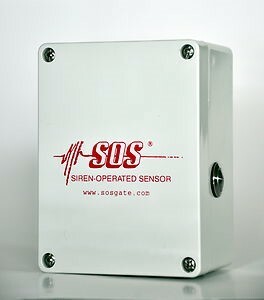 Is a compact, low cost detector which detects a special strobe light signal and opens access gates to allow quick entrance. The detector is activated by the strobe emitters used by most fire department emergency vehicles to control traffic signals on route to a fire.